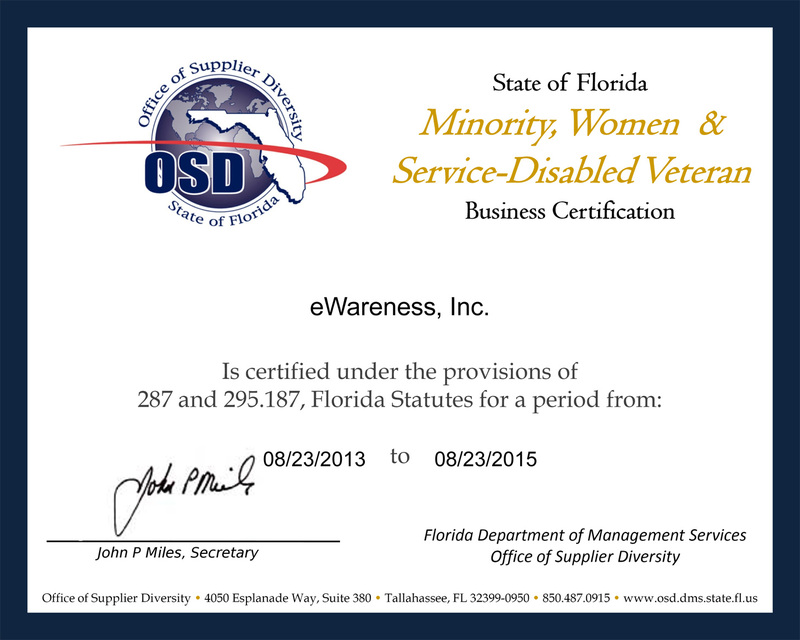 State certification is Florida's premier stamp of approval for minority, women, and service-disabled veteran business enterprises. It is widely accepted across the State of Florida in the private sector as well as cities, counties, school districts, hospitals, and other governmental entities. 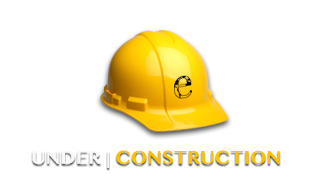 eWareness, Inc. is a United States CVE-Certified Service Disabled Veteran-Owned Business. We help government agencies meet Veteran Owned and Service Disabled Veteran Owned procurement guidelines. As a certified Service Disabled Veteran Business (SDVOB) specializing in technology and marketing services, we have the staff and the expertise to help you. Add in our Customer Service Policy, and we're sure you'll find us to be a company you'll want to do business with time and time again.